Swimming Pool Maintenance - Sydney. Tips for Pool Maintenance Problems. Award Pools Group offers a fantastic pool care programme for all their pools. This can help alleviate the stress of pool maintenance. Let the professionals do what they do best! Did you know that the sun hastens the dissipation of chlorine, so the best time to add sanitiser is in the evening? If your sanitiser is added automatically (e.g. in a salt pool) while the pump is on, run it at night if you can, for best efficiency. Having a lot of swimmers at any given time will introduce more pollutants like body oils, perspiration and suntan lotion. You need to compensate by adding more chlorine. Encouraging pool users to shower first has merit, but welcome to the real world! Heavy rain will usually make the water in your swimming pool lose its clarity (start to turn green, or lose its transparency). This is a common problem in Sydney where rain deluges can be fast and furious, causing cloudy or green swimming pools. Want more information about how to solve these problems? 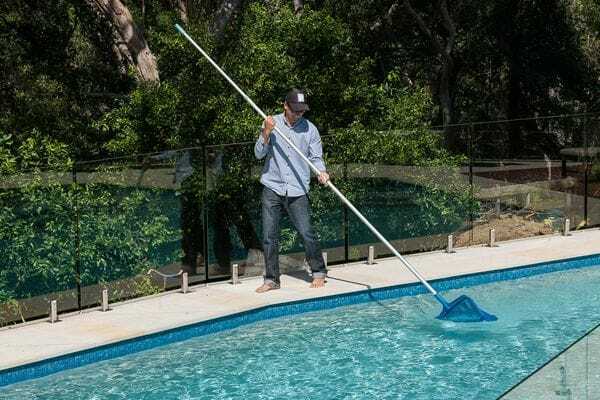 Award Pools Group can give you tips or provide a regular serviced pool maintenance program for your Sydney swimming pool simply contact us for more information.